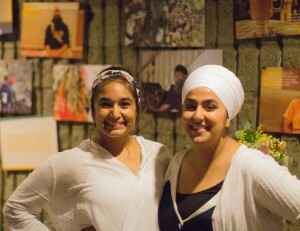 The event that was the first Sikh Monologues performance can only be categorized as the most satisfying night ever. I think it went pretty well for everyone who attended too! Haha. But honestly, the evening of June 15 brought together community on a national level. 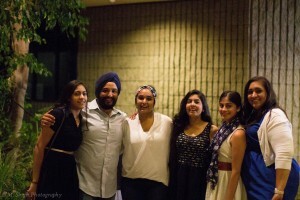 Sangat from the LA area came to share in the stories of people across the United States. And on a personal level, it was the well-worth culmination of a year’s worth of research and writing. “This is why I don’t shave my legs” is a nothing-held-back insight into many Sikh girls’ decisions about hair and wearing a dastaar. Rimmy Kaur told the story beautiful and with the perfect amount of sass! “Cycles of Violence” takes us through several perspectives regarding one woman’s experience with domestic abuse – including the survivor’s perspective. 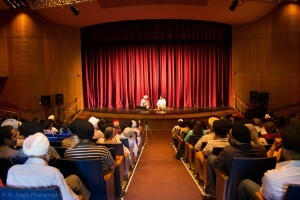 It’s a story and a topic that needs to be talked about more and it will definitely be a staple at future Sikh Monologues performances. Birpal Kaur, Jassi Bhatia, and Khiven Sethi did a phenomenal job of taking on their roles, as difficult as they might have been. Finally, perhaps the one topic I wanted to address most was that of judgment. Nandie Khahera embodied the persona of a man tired of being judged by his own Sikh community in “The Hollow Crown.” It was a showstopper. And it literally was the last piece of the show. We had a few funny pieces thrown in there as well because, after all, Sikhs are a fun-loving, optimistic community. 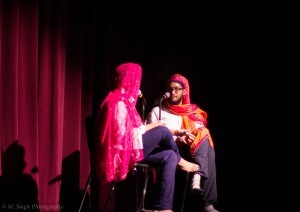 Chardi Kala (eternal optimism) is a real and tangible thing that I hope to convey even further in future performances. The cast members who performed each of the ten vignettes were filled with energy. Many reflected afterwards that they felt I picked them specifically for the roles or that I wrote certain parts for certain people. Though that would have been very thoughtful, I cannot take any credit. Each of the performers grew into their roles over the month long rehearsals leading up to the performance. The connections cast members felt in their roles tells us something – these stories are shared stories. 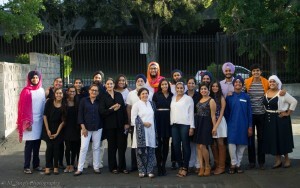 It doesn’t matter where in the US we may reside, there are certain emotions and experiences with which we can all identify, Sikh or not. Thank you to all my cast and crew for a show that ran smoothly, professionally, and passionately. Thank you to everyone who allowed me to interview them for this show. Without the trust of my Sikh sangat, my research and the Sikh Monologues would not have been possible. Thank you to those who believed in my vision from the beginning. I’m happy to report that this performance is only the beginning. 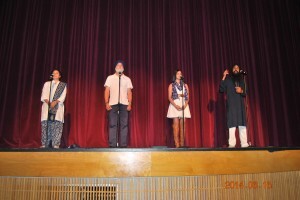 The next Sikh Monologues showcase is on November 22, 2014 at the SikhLens Film Festival!